Thank you very much for seeing it. 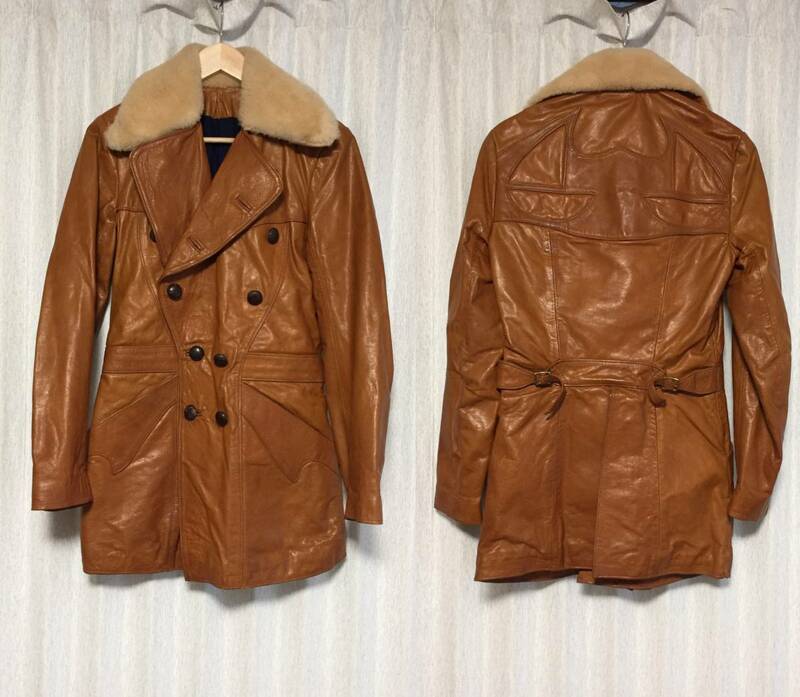 [East West Musical Instruments] 70s Pcoat Collar Muton All Leather Long Pea Coat. Design, silhouette is a dish packed with brand's commitment. 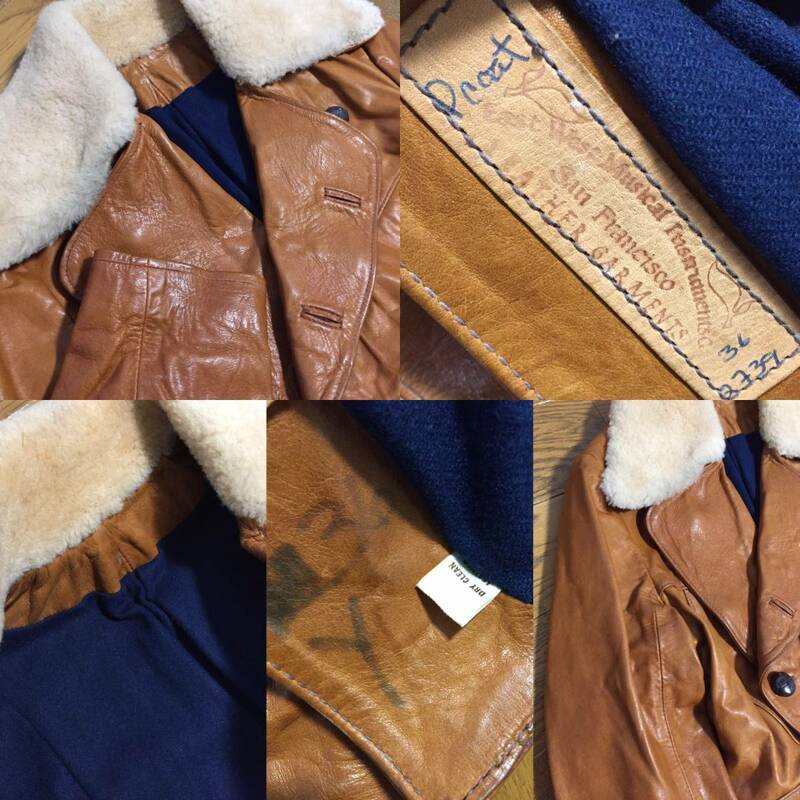 It will be a very rare East West pirate coat. Very luxurious, including collar mutton, lining wool, high design patches. 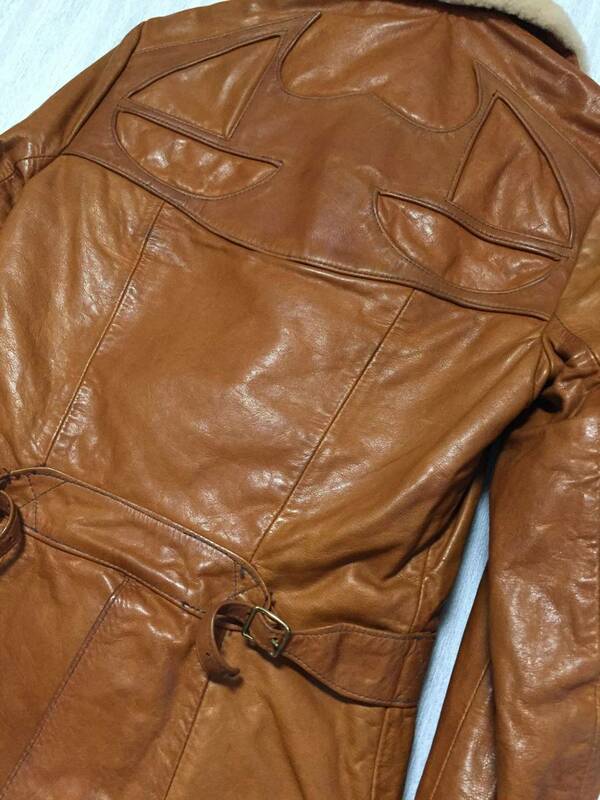 Because it becomes vintage, there is a thread and feeling unique to leather, but you can still wear it. If you are looking for, how would this opportunity. Questions about height, weight, wearing feeling can not be answered. Please refer to the actual size. Release date, purchase place, list price, other details etc We understand what you understand in the explanatory note. Please understand that we can not understand information which is not mentioned. · We can not answer questions about height, weight, wearing feeling. Please refer to the actual size. · Please understand that we do not understand information not mentioned. · We do not respond to discount negotiation, payment method and delivery method change, please understand. · Shipping is Yupack payment on delivery, payment Yahoo easy settlement becomes. · Please contact me within 24 hours after a successful bid, payment within 72 hours thank you. · If it is impossible due to various circumstances, please confirm before bidding from the question column in advance. · Since the things in the photograph are all inclusive of the accessories, please offer a bid after understanding. · About the photograph, the real thing and color etc may differ somewhat depending on your monitor etc. On your note, please purchase. · Because it can not be grasped about hemming and resizing, please consider referring to the actual size. · Since questions and cancellation after a successful bid are not accepted at all, if there are any questions, please ask from a question. ・ Please acknowledge the folds at the time of shipment. ¥ Since the product is second - hand goods, since it does not understand that there is an oversight etc, the more nervous one should refrain from a bid. · I hope in non-return non-claim.